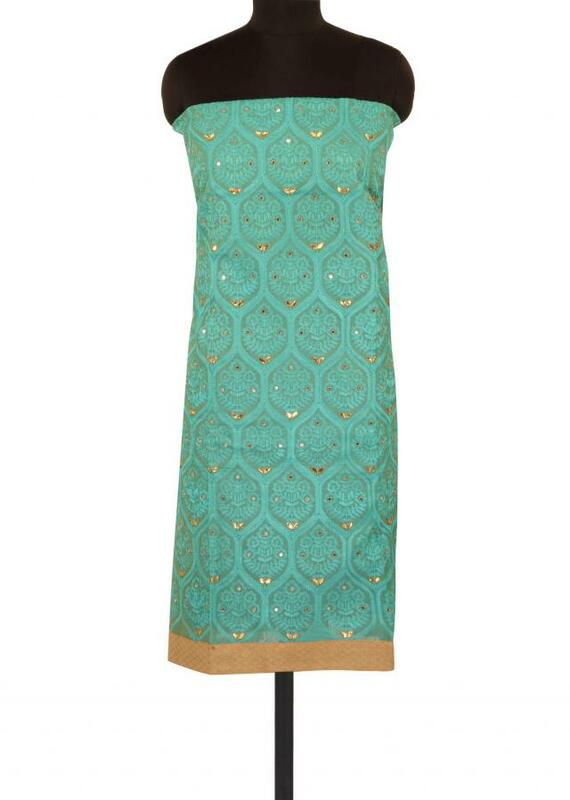 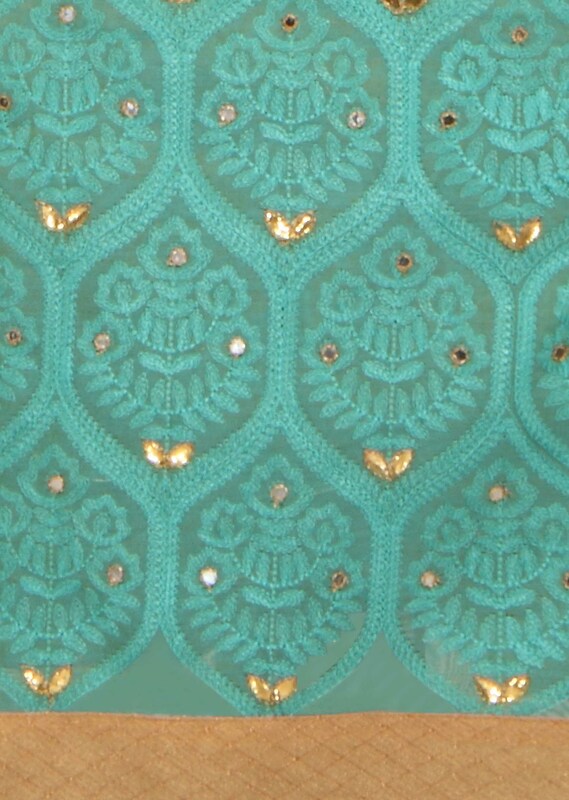 Sea green unstitched suit featuring in cotton silk. Its embellished in thread embroidery all over. 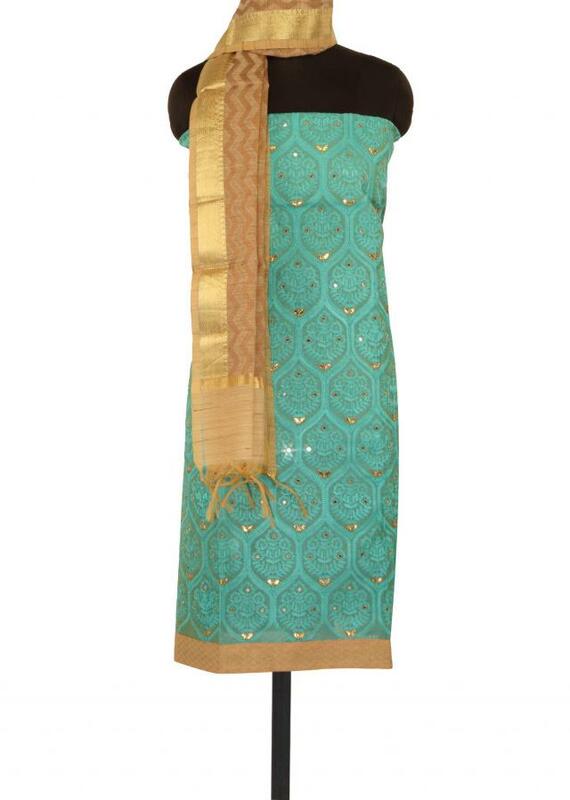 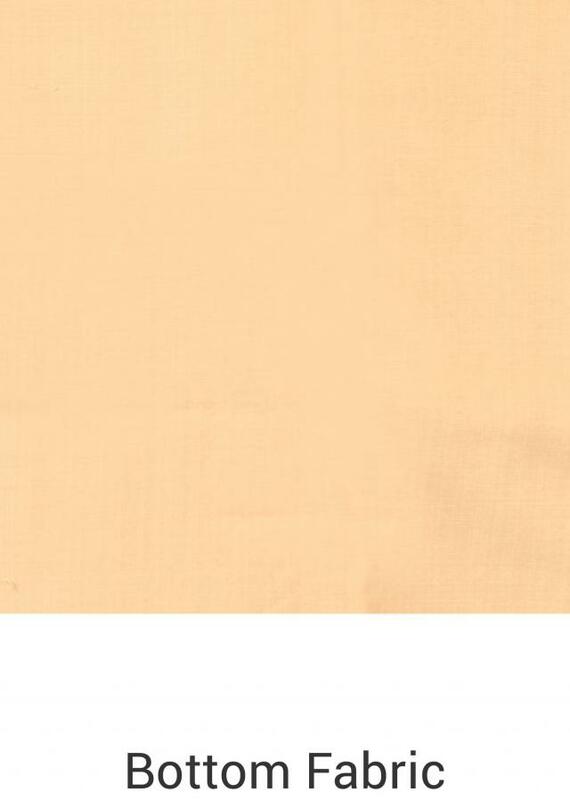 Matched with beige bottom fabric and dupatta in silk.